You can add different shapes (Arrow, Rectangle, Circle, Dialog Box, etc) to your animated video to design more vivid and stunning contents. 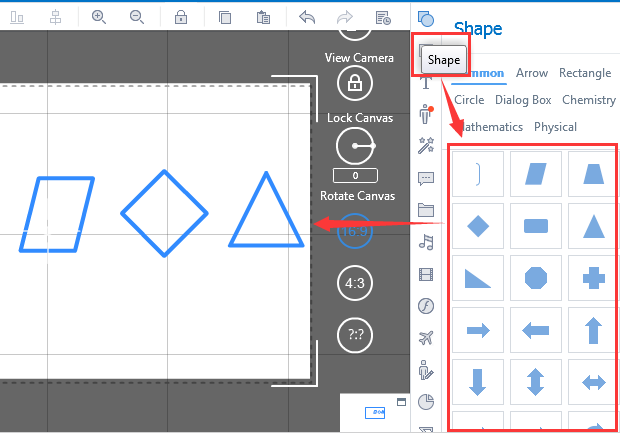 Click the “Shape” icon on the element tool bar to add your target shape to the scene. 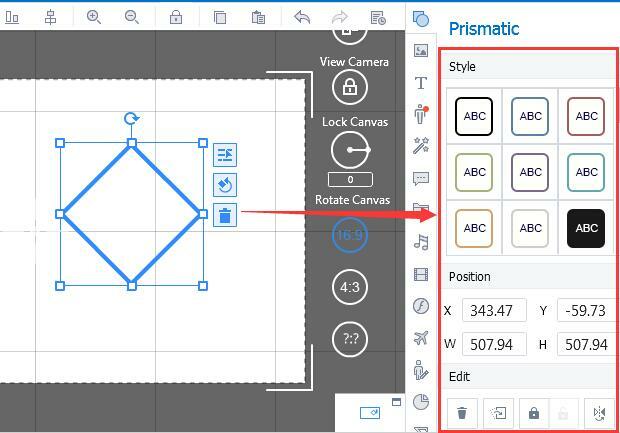 Click the shape and make sure that it has been selected, and then you will be able to customize it as you wish, including style, position, layer, alignment and more. Previous： How to insert superscript and subscript?